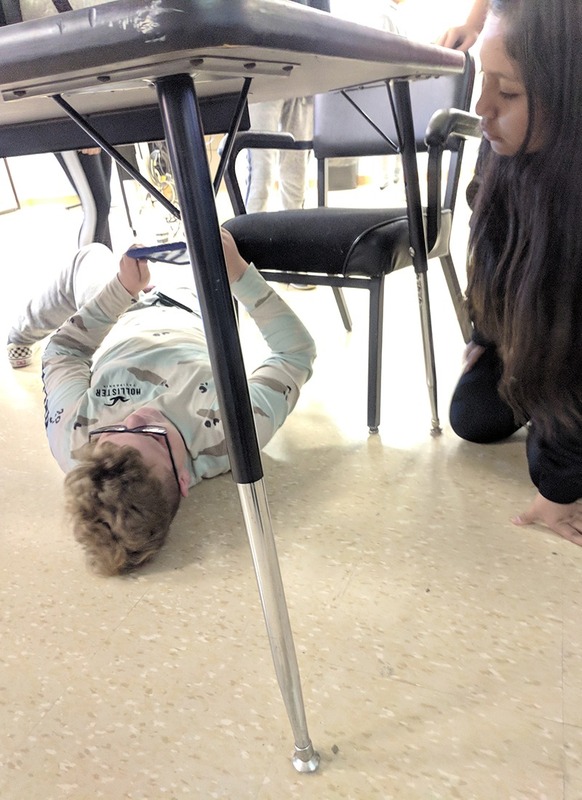 Students left no stone-- or table or chair-- unturned during their QR code hunt. 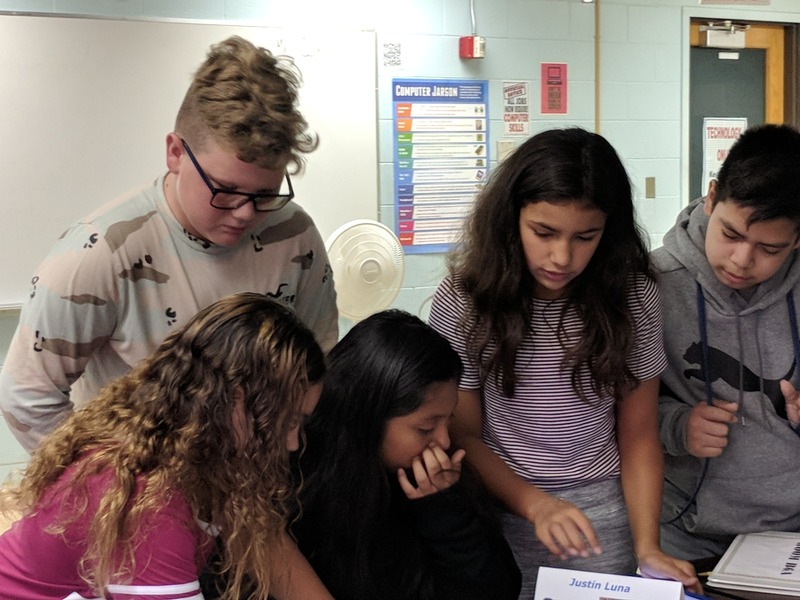 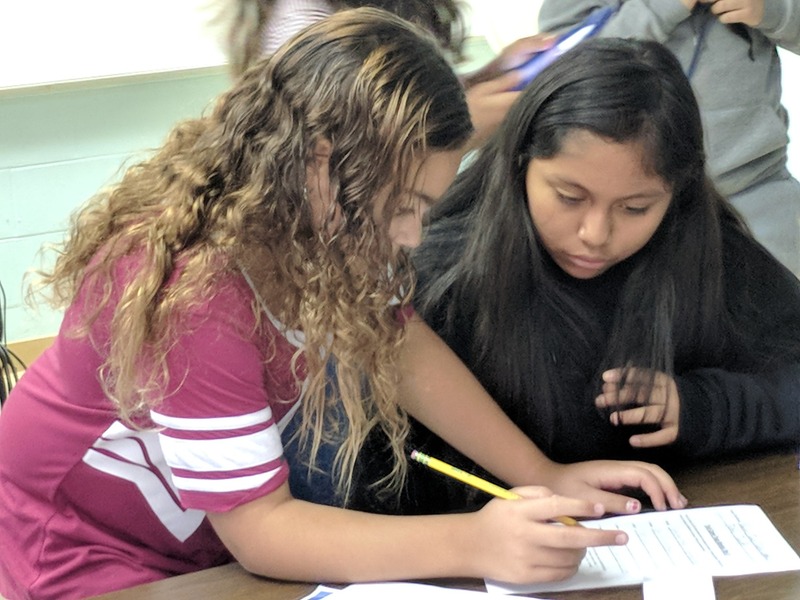 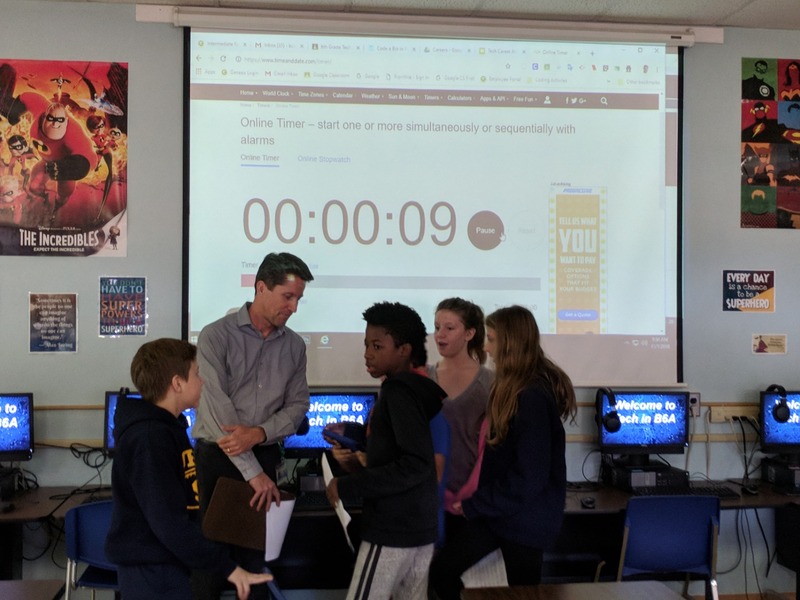 Nov. 12, 2018-- Before fall break, students in Mr. Kenneth Cornine's class at Intermediate North embarked on a QR code hunt. 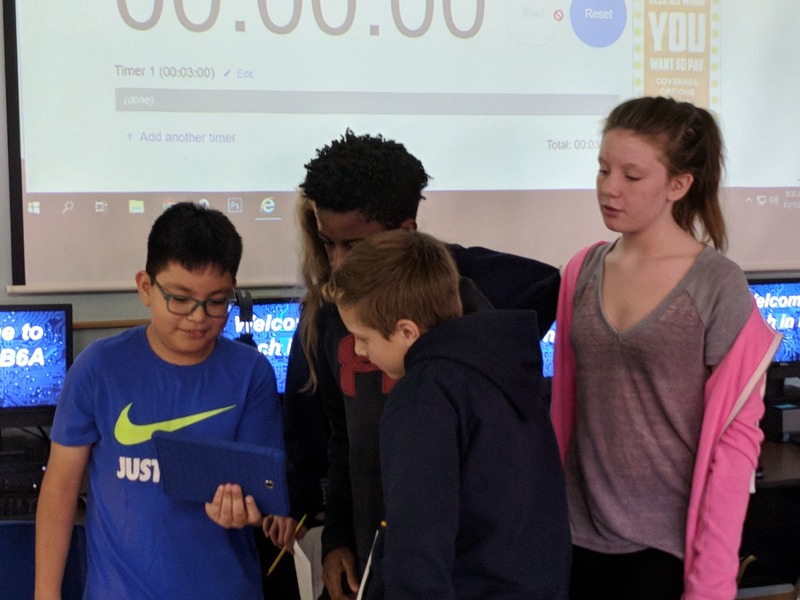 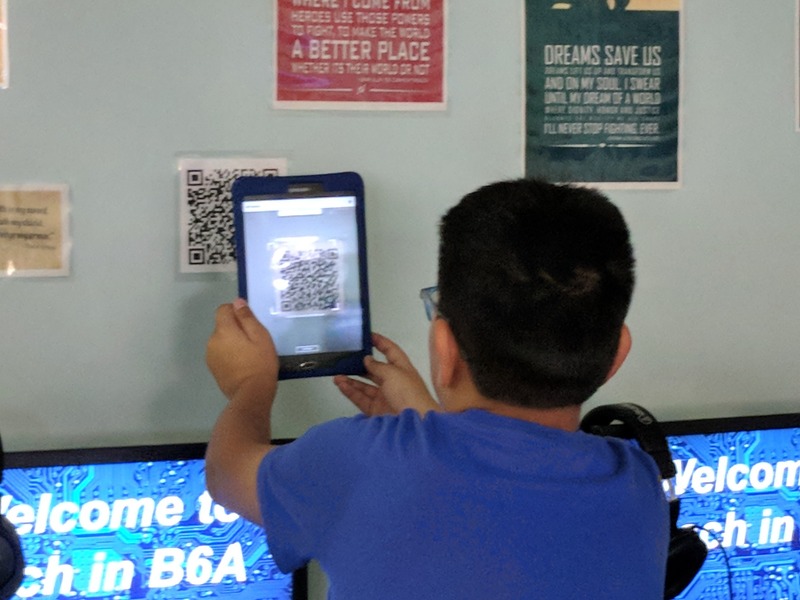 During the game, students searched for QR codes hidden around the classroom and then scanned the codes with their apps, revealing phrases and clues. 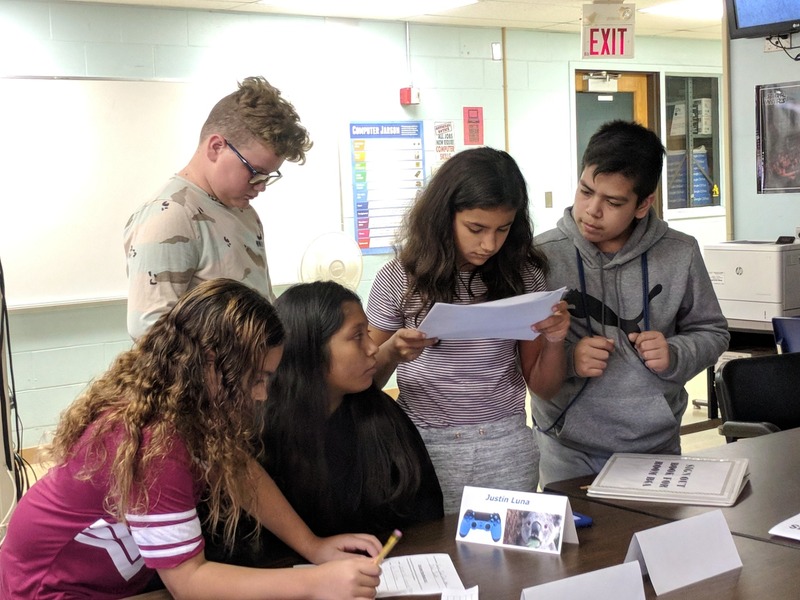 The unit began with an introduction to careers in technology. 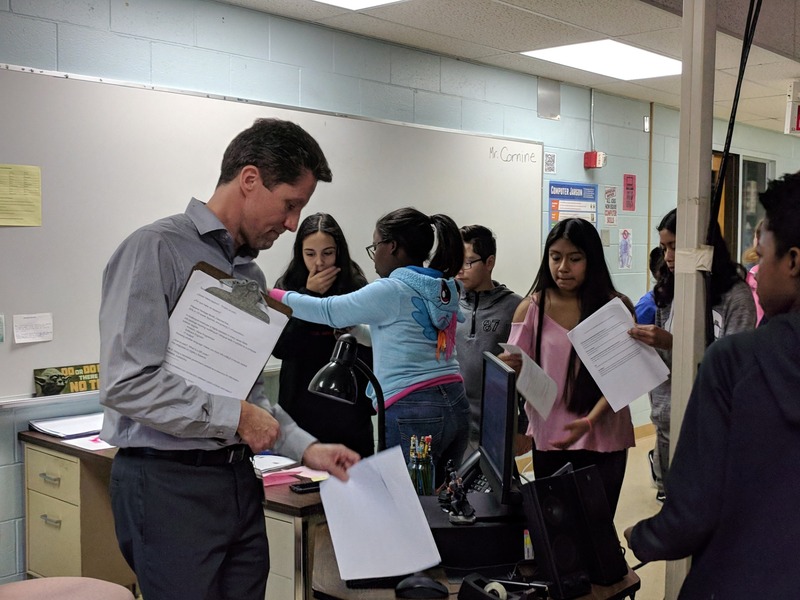 Students each researched different careers on the Bureau of Labor and Statistics website and synthesized that information with research provided by Mr. Cornine to answer a series of multilingual questions and video instructions revealed through the augmented reality tool, QR codes. 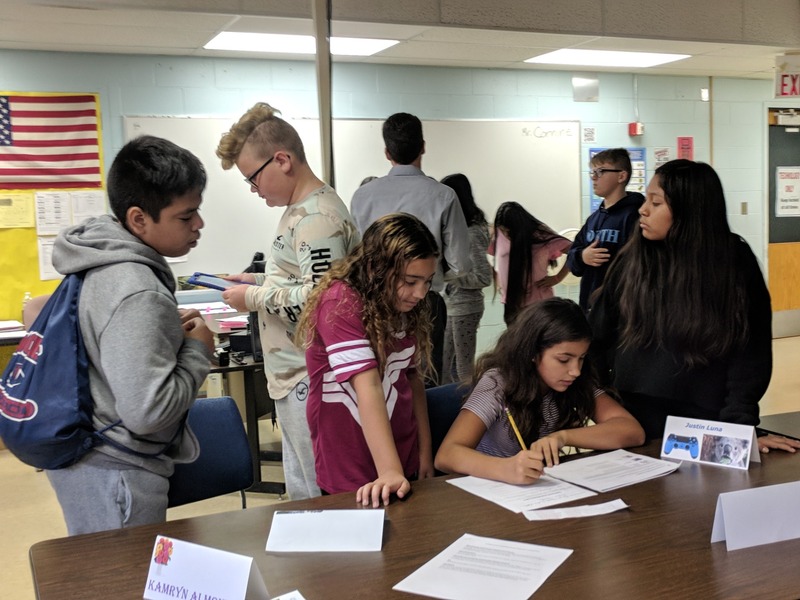 Students searched high and low (even under tables) to collect the prompts and raced to compare data for different career opportunities in technology, qualifications required, potential earnings, and the enhanced opportunities available to multilingual job candidates. 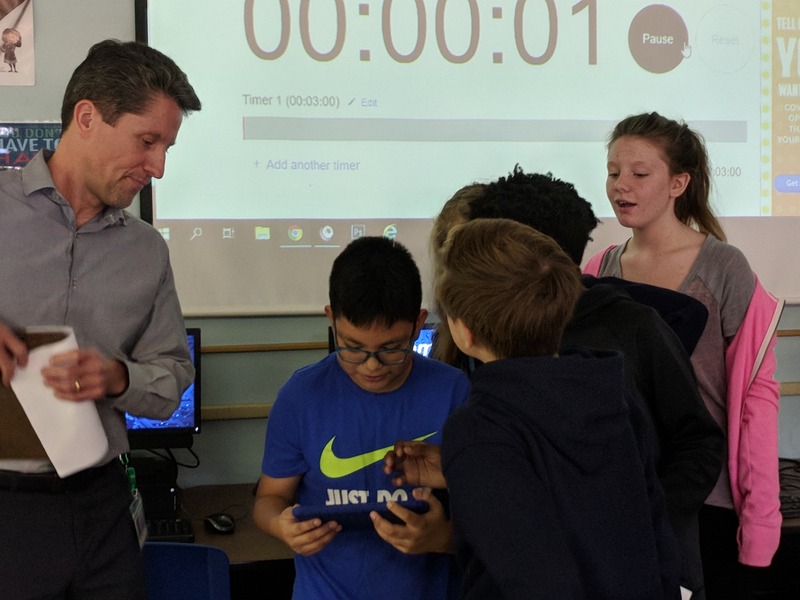 Additional photos from the fun event are below.